There is a lot of competition in the clothing industry. Companies do whatever it takes to increase sales and sometimes they end up infringing upon the trademarks of other clothing brands. Sometimes this is done accidentally; other times this is done on purpose. Two clothing brands are currently battling over trademark infringement. First, H&M filed a lawsuit claiming that it was not infringing on Wildfox’s brand and name. Now, Wildfox is returning the favor with a lawsuit of its own. The fashion label, based in Los Angeles, is now suing H&M for unfair competition and false designation of origin. The lawsuit stems from a sweatshirt from H&M that has the phrase “Toronto Wildfox.” There is no such team in Toronto, and the company claims that the name was chosen at random. The shirt is confusing customers, as witnessed by the customers who purchase the shirt and share it on social media with the Wildfox hashtag. The WILDFOX trademark has been registered with the U.S. Patent and Trademark Office. Wildfox currently owns multiple registrations for that mark. The company is claiming that H&M infringed upon this trademark and is asking that the products and promotional materials be destroyed. Wildfox is also asking for all profits from the sale of the sweatshirt. This is not H&M’s first trademark lawsuit. The company was also recently sued by the DJ duo Classixx for selling knockoff merchandise. H&M is accused of selling shirts featuring the musical act without their permission. Trademarks and copyrights help protect intellectual property. Trademark and copyright are two terms that are often used interchangeably, but they are different. 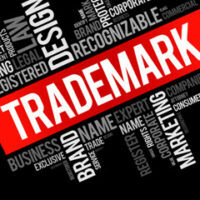 Trademarks protect words, symbols and colors, such as those used in company logos and slogans. A copyright, on the other hand, protects intellectual works such as books, songs, artwork, plays and other dramatic, literary, musical and artistic works. A business can copyright certain materials such as audio and video materials and reports. The process is also different for trademarks and copyrights. Work is automatically copyrighted when it is created. But to register it, you need to file a form, pay the fees and send the work to the United States Copyright Office. To register a trademark, you must first do a search to ensure that the work does not already exist. 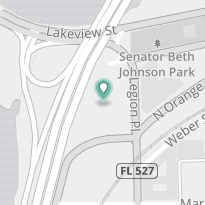 From there, you can file a trademark application. There are many legal issues to consider, though, so hiring a lawyer is recommended. While it’s important for entrepreneurs to protect their physical assets, their intellectual ones are just as important, if not more so. If someone has infringed upon your trademark, it can lead to declining sales as well as make you extremely frustrated. Orlando trademark and copyright lawyer B.F. Godfrey from Godfrey Legal can help you protect your valuable and unique trademark and offer legal options if you feel your work has been inappropriately used by others. He has worked with entrepreneurs for several decades and he can help you keep your business in good shape for years to come. Contact Godfrey Legal at (407) 890-0023 for a consultation.